But, ever since I showed you my Creamy Baked Penne with Butternut Squash and told you how my actual favourite comfort food is Gnocchi, I just couldn't stop thinking about it. And now I'd like to share it with you. 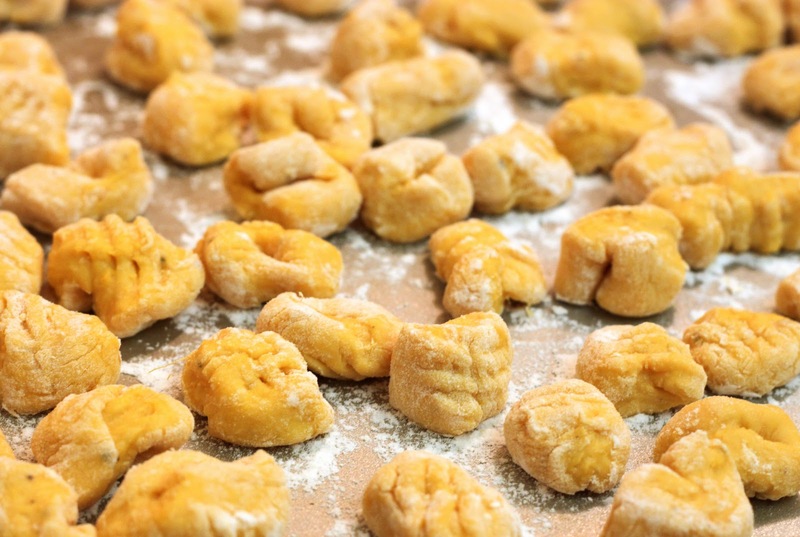 Making Gnocchi is probably the most soothing and relaxing activity. It's better than yoga, for sure. It's definitely healthy for you and way more rewarding, because let's face it, it's edible. You can't eat a downward dog. It takes a minimum of 2 people to do it. We always have 3. My mom is the leader - she rolls the dough into narrow logs and then slices them into little pillows. My dad and I dust these little pillows in flour and then roll them over our forks to make the all-important ridges that trap sauce. Now, we had this down to a science you see. We have special forks dedicated to gnocchi-making. We actually call them "Special Forks". They're narrow and the prongs are in perfect parallel to give an even indentation. First, you dust the gnocchi and the fork with flour. If left un-dusted the gnocchi can stick to the fork and totally destroy your ego when it comes to rolling. 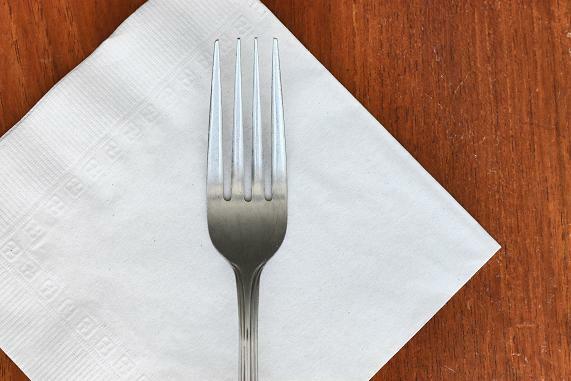 Then, hold the fork in one hand with the prongs facing away from you. Grab a little dumpling and use your thumb to apply slight pressure to it against the base of the prongs and gently push it away from you along the fork. It should roll off softly with utmost elegance. My dad and I had competitions. Who could get the most height on the gnocchi? He had a pretty decent record going for some time, but I'm pretty sure I beat it. Soon he started rolling the gnocchi so high off the fork that he would catch it in his hand before it reached the counter top. Show-off. Twas impressive. But, I can do it too. It's time to think of a new trick, Daddy-O. That's my Nonno on the left, my Nonna on the right. They're making crostoli (fried Italian pastry dusted with icing sugar). Nonna taught my mom how to make gnocchi, mom taught me, now I'm teaching you. 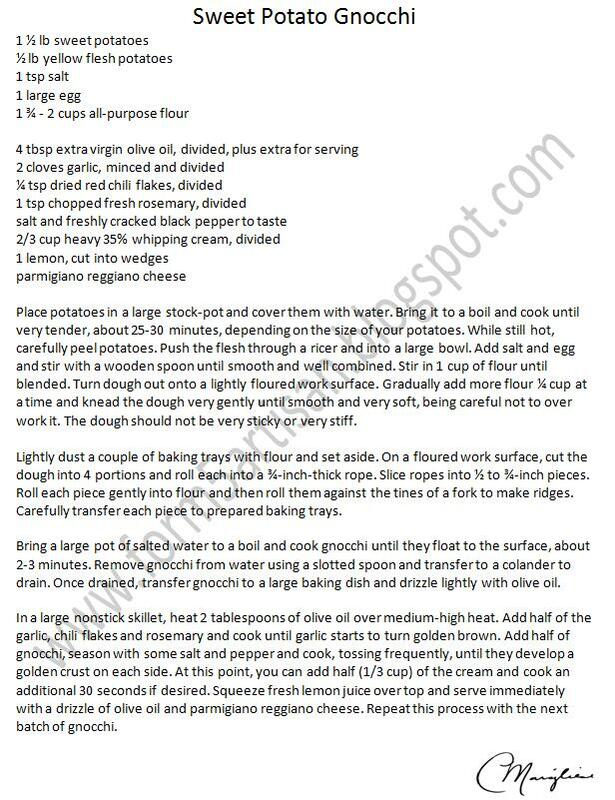 Aww this reminds me of when we used to make gnocchi with my nonna. Nowadays she prefers to just buy the packaged variety, but the homemade stuff is really the best. 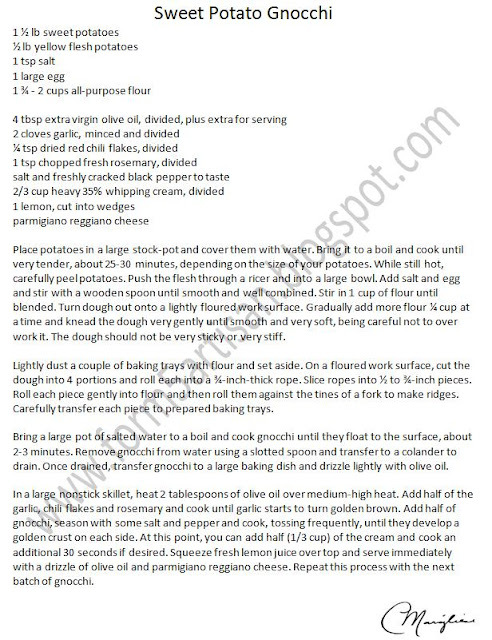 I'm going make this gnocchi and eat it on my yoga mat. 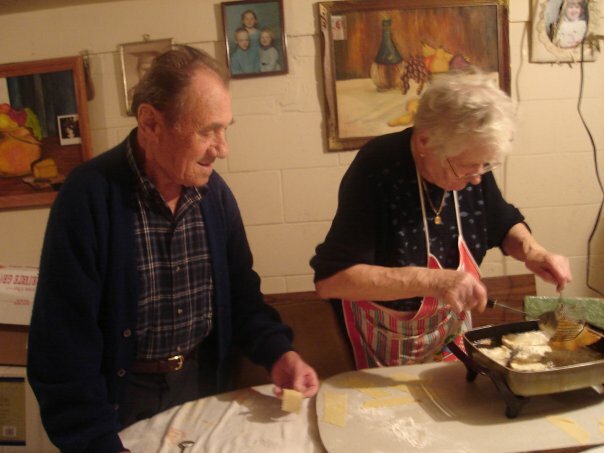 Nonnas will always be the best cooks...ever. I love gnocchi! Must be delicious with sweet potato! P.S. Gnocchi is my favorite and you look like you perfected it!